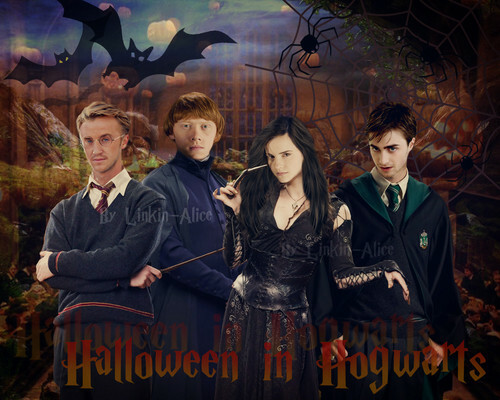 हैलोवीन in Hogwarts. . HD Wallpaper and background images in the हैरी पॉटर club tagged: harry potter hogwarts hp trio halloween malfoy felton watson radcliffe grint. This हैरी पॉटर wallpaper might contain ऊपर का कपड़ा, overclothes, ऊपरी वस्त्र, and ओवरक्लाइट.